Michigan's Best One Day Conference! Satori Shakoor – is an artist, social entrepreneur, a producer and veteran of live performance. She has achieved international acknowledgments for her accomplishments as a produced playwright, published writer, award-winning actor, standup comedienne, television comedy writer and a Moth mainstage storyteller and host. In 2012, Satori Shakoor created The Secret Society Of Twisted StorytellersⓇ, a curated live storytelling event that features storytellers and performing artists from the greater Detroit area of which she curates, produces and hosts. TSSOTS is a Knight Foundation grantee. 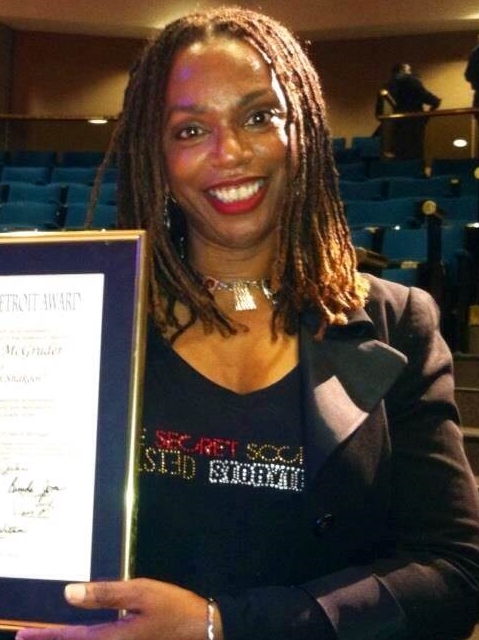 In 2014, TSSOTSⓇ expanded and became a licensed production of The Society for the Re-Institutionalization of Storytelling, a Michigan 501(c)3 nonprofit organization of which she is the Executive Director. Directions & Map to O.U.